Welcome to Art Jewelry By Amani! Everyone loves a little glitter & glam, Amani is certainly no different. In her spare time Amani creates one of a jewelry pieces for bellydancers & non-dancers alike using a wide variety of materials like charms, Swarovski crystals, kuchi coins, shells, glass pieces, dominos, bones & semi-precious stones. Prices vary from piece to piece. She also makes custom pieces upon request & has created custom necklaces for some of the biggest names in bellydance; including Jill Parker, Rachel Brice, Elizabeth Strong, Zoe Jakes, Amy Sigil, Kajira Djoumahna, Kami Liddle & Ariellah. To see more pieces currently available, please visit Amani's Etsy page or stop by the Desert Diva Designs vending table at the next local hafla. 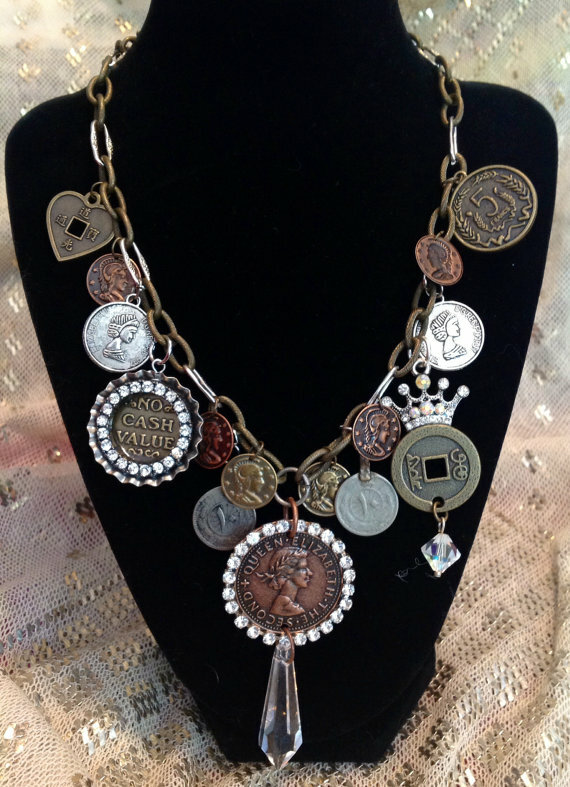 You can also book Desert Diva Designs & Art Jewelry by Amani to vend at you event! Visit the contact form to submit your booking request now.